Since Thomas Jefferson first recorded those self-evident truths in the Declaration of Independence, America has been a nation that has unfolded as much on the page and the podium as on battlefields or in statehouses. Here Stephen Prothero reveals which texts continue to generate controversy and drive debate. He then puts these voices into conversation, tracing how prominent leaders and thinkers of one generation have commented upon the core texts of another, and invites readers to join in. Few can question that the Constitution is part of our shared cultural lexicon, that the Supreme Court’s Roe v. Wade decision still impacts lives, or that “The Star-Spangled Banner” informs our national identity. But Prothero also considers lesser known texts that have sparked our war of words, including Thomas Paine’sCommon Sense and Maya Lin’s Vietnam Veterans Memorial. In The American BibleChristopher Hitchens weighs in on Huck Finn, and Sarah Palin on Martin Luther King Jr. From the speeches of Presidents Lincoln, Kennedy, and Reagan to the novels of Harriet Beecher Stowe and Ayn Rand—Prothero takes the reader into the heart of America’s culture wars. These “scriptures” provide the words that continue to unite, divide, and define Americans today. 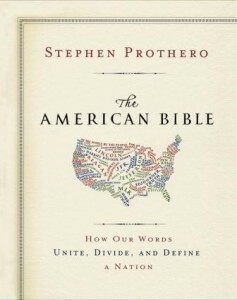 Stephen Prothero is the New York Times bestselling author ofReligious Literacy and God Is Not One, and is a professor of religion at Boston University. 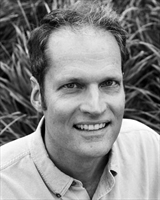 He and his work have been featured on the cover of Time magazine, The Oprah Winfrey Show, The Daily Show with Jon Stewart, National Public Radio, and other top national media outlets. He writes and reviews for the New York Times, The Wall Street Journal, Newsweek, The Boston Globe,The Washington Post, USA Today, The Los Angeles Times,Salon, Slate, and other publications. Wednesday, June 20th: What Would the Founders Think?